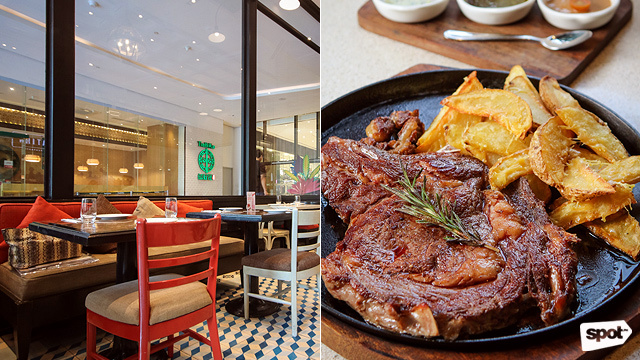 (SPOT.ph) There’s no shortage of trendy dining concepts in and around the Fort area, and Uptown Bonifacio has quite a selection all under one roof. 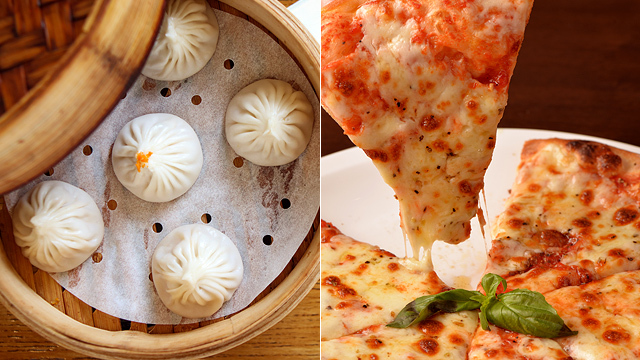 Whatever you’re craving—Italian, Spanish, or Asian—each is just a stone’s throw away. 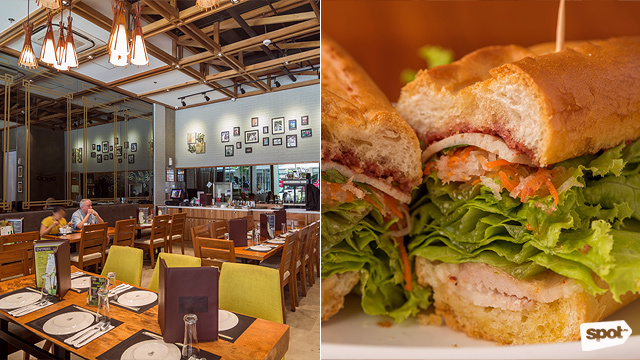 Let your taste buds explore our list of exciting mall-based food choices in this side of town. Flatiron 1771 is at G/F Uptown Mall, 9th Avenue corner 36th Street, Uptown Bonifacio. Melt Grilled Cheesery is heaven for cheese lovers. Think beyond the classic grilled-cheese sandwich—their best-selling Bacon Mac & Grilled Cheesy (P395) is a no-brainer, with maple-glazed bacon and three-cheese mac and cheese sandwiched between two pieces of grilled sourdough. Or you can sample their Parma Margherita Pizza (P585), which uses a lot of mozzarella and parma ham, garnished with some lip-smacking pesto oil. You’ll be licking your plate clean in no time! Melt Grilled Cheesery is at 3/F Uptown Mall, 9th Avenue corner 36th Street, Uptown Bonifacio. 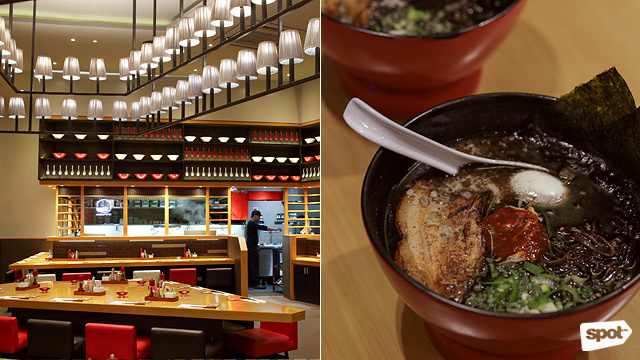 No need to fly to Japan just to get a taste of real ramen; Ippudo’s take is as authentic as you can get. This international Japanese franchise specializes in Hakata-style ramen (named after a district in Fukuoka), which features light and milky tonkotsu broth and thin noodles. Slurp your way through the Shiromaru Special (P490) where its al-dente noodles are swimming in a cloudy broth that’s topped with tender pork belly and pork-loin slices, soft-boiled egg, green onions, and seaweed. You have the option to choose the doneness of the noodles and may even request for an extra serving while dining. In case you still have space for more food in your tummy, their world-famous Pork Buns (P125) are must-tries as well. Ippudo is at G/F Uptown Mall, 9th Avenue corner 36th Street, Uptown Bonifacio. You would think that this pizza chain has their roots from Italy, but PizzaExpress is a London-born brand that’s been around since 1965 and now has over a hundred branches all over the world. Perhaps the secret to their success is their pizza’s glorious crust, which is made with pillowy soft dough that becomes delightfully chewy when baked. With over a dozen variants to choose from, you might feel overwhelmed at first. You can’t go wrong with the Lava (P695), which has toppings like melt-in-your-mouth burrata mozzarella, fresh basil, olives, and cherry tomatoes. Pair it with a pasta plate like the Penne Pollo Piccante (P340), which has tasty chicken and spinach cooked in creamy and spicy sauce. Mmm, pizza and pasta…we’re getting hungry just thinking about it. 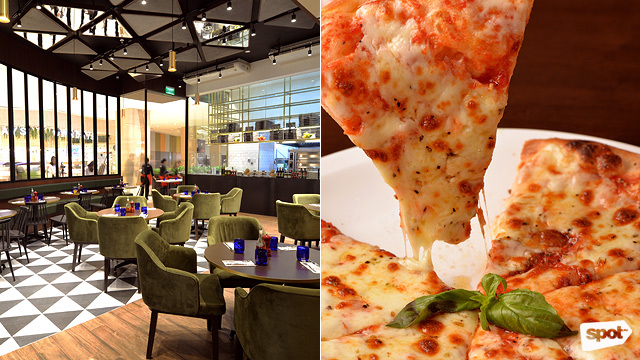 PizzaExpress is at G/F Uptown Mall, 9th Avenue corner 36th Street, Uptown Bonifacio. 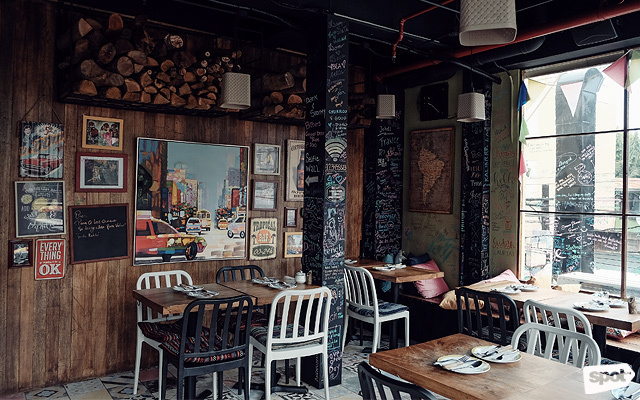 No need to imagine yourself eating under the Tuscan sun since Mamma Mia basically transports you there with their inspired décor—from the high arches to the mosaic tiles, and the colorful wall art, which successfully sets the ambience for some good eats. Start your Italian feast with Melon and Pumpkin Wrapped with Prosciutto Al Forno (P425), an interesting sweet and savory appetizer. Dining with a big group is no problem here, too, since the restaurant offers platters for sharing. The Spaghetti Carbonara Alla Mamma Mia (P485/solo, P1,520/sharing) is a definite crowd pleaser with its pile of gooey, melted cheese on top. If you just can’t resist ordering pizza, we recommend the Mortadella e Pistacchio (P595), with an irresistible cheese base, mortadella slices, pistachio cream sauce, and crushed pistachio. Nutty, cheesy, and oh-so good! Mamma Mia is at G/F Uptown Mall, 9th Avenue corner 36th Street, Uptown Bonifacio. 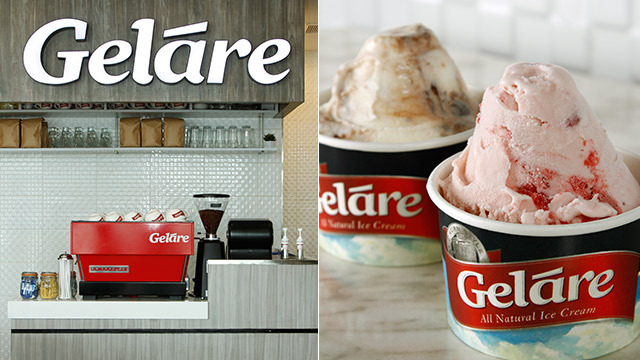 A dessert place would probably be your first impression of Gelare since their name sounds a lot like gelato. 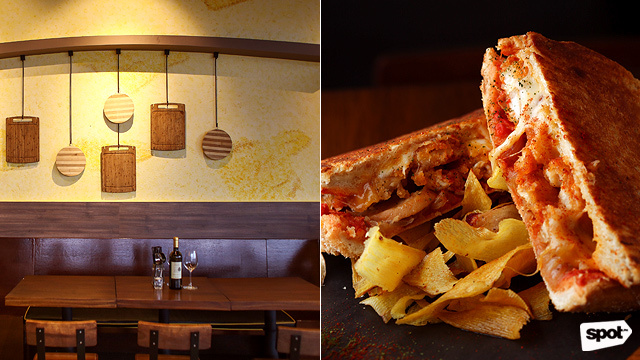 Though what you’ll find here aren’t quite so—in fact, their offerings are a hybrid of American and Italian influences. If ice cream and gelato were to have a lovechild, then this would be it. Aside from scoops of cool treats, you’ll be pleased with their selection of savory dishes as well. The Waffle and Buttermilk Fried Chicken with Gravy (P299) will win your hearts. Meanwhile, you’ll enjoy the twist in their Eggs Ben (P275), where they replace the classic English muffins with waffles. Whether you go there for breakfast, brunch, or dessert, dining here will surely hit the spot. Gelare is at 3/F Uptown Mall, 36th Street Corner 9th Avenue, Uptown Bonifacio. 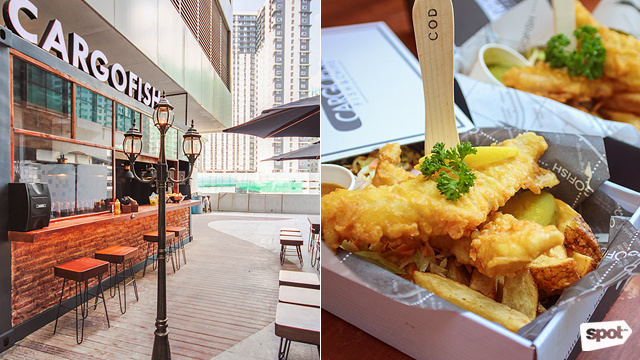 Feel like you’re in a British pub when you sit by the brick counter of CargoFish, a concept by chefs Matthew Hornsby-Bates and Matthew Lim who combined their British and Filipino roots as inspiration. Experience building your own fish and chips by choosing your preferred beer-battered fish first—there’s tilapia and even shrimp! Then, select two sides (proper chips, sweet potato chips, onion rings, slaw salad, cargo rice) and your choice of sauce (seafood barbecue, honey jalapeño, tartar, chip shop curry, mushy peas, lime chili cilantro, roasted garlic). For instance, you can order a serving of Cod (P325) with proper chips and onion rings with tartar sauce, or create a totally different combination next time. Enjoy it with a bottle of beer and you’re all set for your British-style meal! CargoFish is at 4/F Uptown Mall, 9th Avenue corner 36th Street, Uptown Bonifacio. 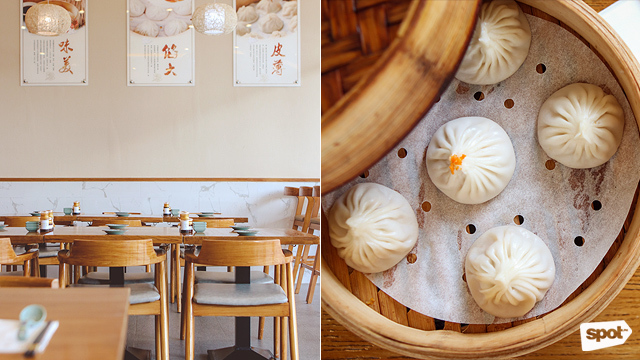 Bai Nian Tang Bao’s giant xiao long bao might lure you in, but you’ll find that they have a lot of other dishes that are worth ordering. The Giant Tang Bao (P258) is just something that you need to tick off your food bucket list for now—how often do you encounter a soup dumpling that’s actually as big as a bamboo steamer and requires a straw? Other than that, you’ll find tasty tummy fillers here like the Shanghai Style Fish Fillet (P199), or fried tilapia cooked in sweet sauce, which also goes well with the Special Sausage Fried Rice (P219), fluffy white rice with bits of Chinese sausage and veggies. Bai Nian Tang Bao at G/F Uptown Parade, 9th Avenue corner 38th Street, Uptown Bonifacio. What used to be a hole-in-the-wall burger joint is now a full-fledged restaurant at many of Manila’s most well-loved malls. 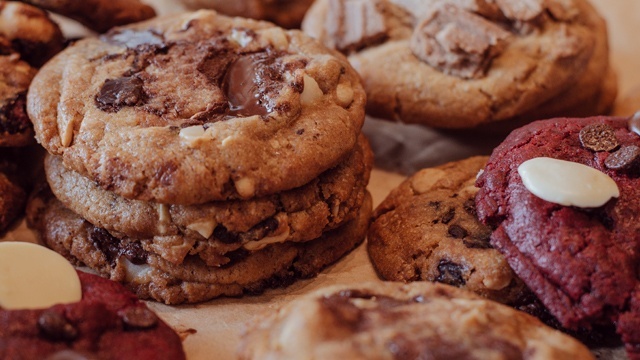 Known as Sweet X to many, the homegrown brand has a no-frills menu that offers American basics: Burgers, fries, wings, and milkshakes. 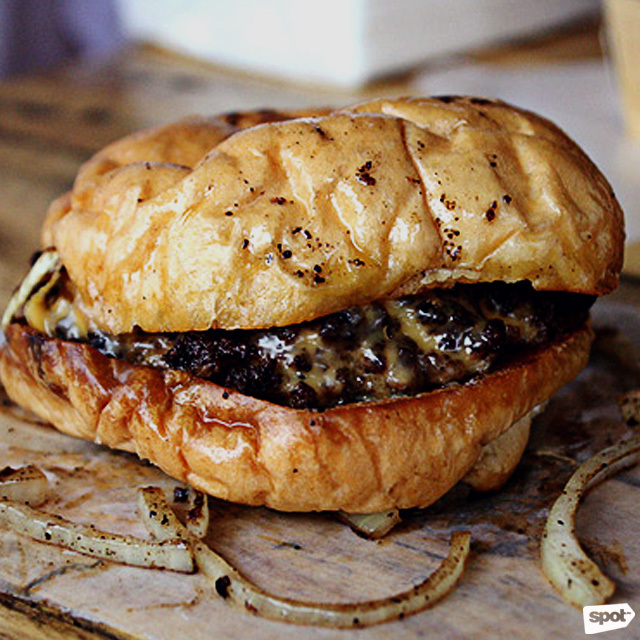 The place gets packed especially during peak dining hours so you know their burgers are worth the drive—better grab yourself one of those quarter-pound patties made with freshly ground grass-fed beef, and sandwiched between buttery brioche buns. Live a little and go for The Double (P315), which is basically a cheeseburger times two, and wash it down with their thick and creamy vanilla or chocolate Classic Milkshake (P200). If you’re not counting calories—and you better not while here—get some Burger Fries (P235) on the side, fried-potato strips topped with beef, cheese, jalapeños, diced tomatoes, and their secret Ecstasy sauce. You’ll be pleasantly speechless after a meal like that. Sweet Ecstasy is at 2/F Uptown Parade, 9th Avenue corner 38th Street, Uptown Bonifacio. 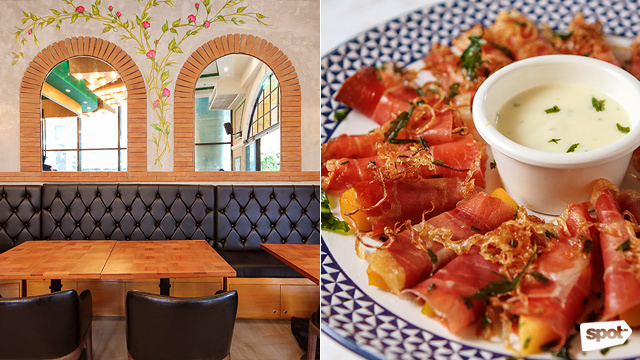 Although the Metro Manila branches of Bawai’s have a more modern look—as opposed to their original outpost in Tagaytay, which has a certain rustic appeal—the flavors of their Vietnamese dishes remain the same. You’ll find Asian touches around the restaurant—from the red rickshaw displayed out front to the hand-painted murals inside. But really, the star of the show is the restaurant’s dishes, which is as good as the real thing since the recipes come from My Duyen or bawai (Vietnamese for grandmother) herself. You’ll find the typical bahn mi sandwiches and noodle soups here, but it would be nice to try something different like the Pho Bites (P320), or sweet and savory beef wrapped around lettuce and pho noodles. The Tom Rang Me (P550), on the other hand, is a prawn dish flavored with tangy tamarind sauce. You’ll definitely feel like you’re eating on the streets of Saigon here. Bawai’s is at G/F Uptown Parade, 9th Avenue corner 38th Street, Uptown Bonifacio. Update as of October 12, 2018 (2 p.m.): The article previously included ¡OYE! Tapas & Grill, on the list. It has been replaced with Gelare since the former had already closed down.